C.N Grades Resourcing provide consulting services designed to transform clients’ organization, align people, processes and technology to optimum performance and satisfactory level of sustainability. We are a response to the market demand for quality outsourcing solutions, majorly in the	human resource, structure and process spectra of the organization. Our belief is that “the people and the structure are the	organization”, therefore the “quality of staff	and structure is the quality of the	organization”. We pride ourselves in our expertise and	reassure you of availability of smart and on the	move solutions. 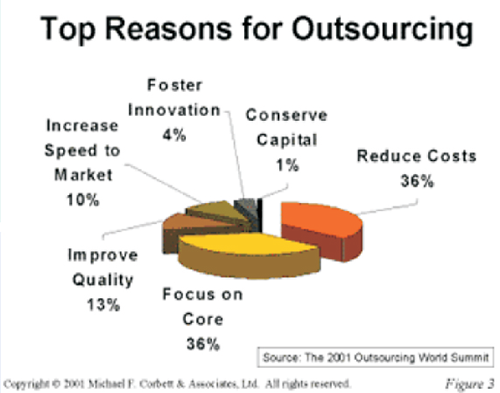 Outsourcing helps mainly in two principal areas i.e Cost Reduction for the organization and Redirection and focus on the core business by management. The reduction in costs can be considerable, when the major element of the outsourced business is labor, and so long as the quality of service offered by the contracted company is excellent, then these savings will be realized. The outsourcing of none-core functions, frees up time and energy for management to focus primarily on the critical and strategic demands of the organization.